Two of my books are finalists for the 2011 EPIC eBook Awards, outstanding achievement in e-publishing. My winning titles are The Comet's Return in metaphysical fiction and Out of the Psychic Closet in nonfiction. To celebrate I'm offering two special sales. 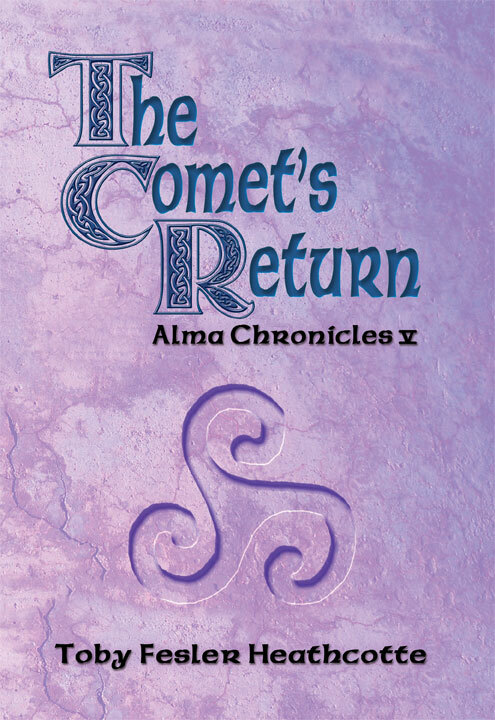 All five segments of the Alma Chronicles, including The Comet's Return, for $1 each, that's $5 - total. They will come as pdf files, which you can read on your computer or your hand-held reader. Any of my print book titles, signed, for $12 each, plus postage. 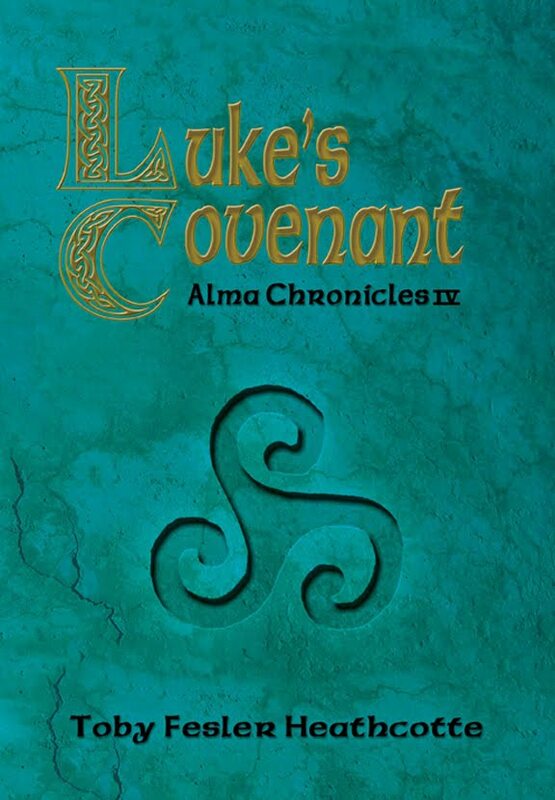 The titles are Out of the Psychic Closet, Alison's Legacy, Lainn's Destiny, Angie's Promise, Luke's Covenant, and The Comet's Return. Be sure to tell me to whom I should autograph the book when you order. Books make great gifts. If someone in your family likes to read about psychic experiences or metaphysical ideas like reincarnation, intuition, or ghosts, one of my books would be the perfect gift. 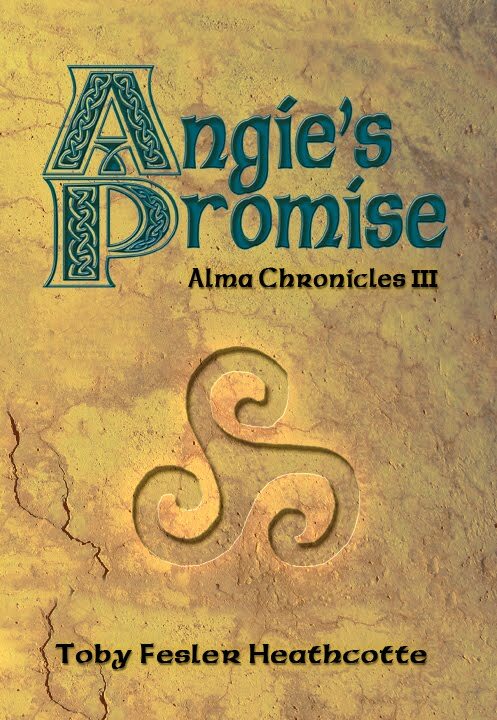 In the Alma Chronicles, souls, bound together in a circle of love, passion, betrayal, and murder, reincarnate lifetime after lifetime from the ancient Celtic world through twenty-first century America. 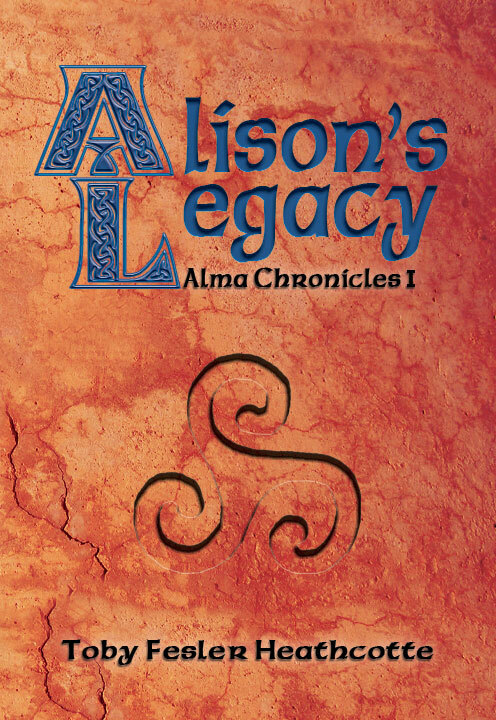 Each volume of the Alma Chronicles can be read as a stand-alone book, backward in time the way the inspiration came to the author, or forward in time as a family chronicle unfolds. You must reply to this email to qualify for the special offer. Feel free to forward it to anyone you think might appreciate it. Here's the opening of the 2011 EPIC finalist novel - enjoy! In a dream, Angela huddled on hard ground. She heard a popping sound and looked up with a sense of dread. Yellow flames burst through the air. Something huge was on fire above her. Heat seared her skin. The stench of burning rubber sickened her. She felt the coarseness of the cloth in her dress. Someone lay nearby. She reached out to help him. When she turned him over, his face was burned and blistered beyond recognition. Desperately she cradled him. She didn’t want him to die, but it was too late. She screamed for help. The scream rattled in Angela’s throat and awakened her. She bounded out of bed then glanced involuntarily at the other side terrified that she would see the burned body lying next to her. Her movement across the carpet turned on the lavender light recessed in the wall, allowing her to see and assure herself that she was alone in her bedroom. Her nightgown damp from perspiration clung to her skin. The digital clock read two in the morning. What an awful nightmare. She’d never dreamed the same dream twice before that she could ever recall. And now for the past three nights this horror had been visited upon her in her sleep. Why? She pressed her hand to her rapidly beating heart and feared bad dreams could cause her to have a heart attack. She had to calm down. Too exhausted to remain awake and unwilling to go back to her bed, Angela headed into the white-carpeted living room, grateful for the pale blue lights that welcomed her. She didn’t want to remain alone in the house. How comforting it would have been to have a man with her right now, the right man. Her condo with its sleek styling and transparent furniture looked as lonely as she felt. The decision to remain single and focus on her career worked far better in the daylight than in the middle of the night. Intellectually she accepted herself as cool and focused and not at all needy. But beneath that persona seemed to dwell another, more passionate self, one capable of tremendous love and devotion, perhaps even obsession. Those feelings poured out of her for the dead man in her dream. That must have meant she could feel those emotions awake too. Who was the man in the dream? Someone she fantasized? Maybe her intuition meant she would meet the man, but why would she want to meet him if she were doomed to experience such despair because of him? Who was she in the dreams? Her clothes seemed old-fashioned and an ugly style she’d never choose. That detail present in all the dreams seemed important, but how she didn’t know. Nothing made sense. She felt like she had a bomb in her mind that went off when she fell asleep. She understood herself less with every passing day. Two New Age books are tapped as finalists for the 2011 EPIC eBook Awards. The titles are The Comet's Return in Metaphysical Fiction Category and Out of the Psychic Closet in Non-Fiction Category, both by Toby Fesler Heathcotte. 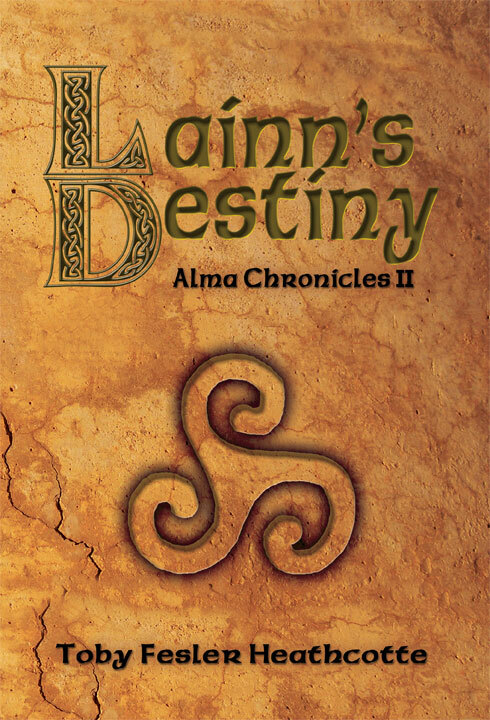 Awards will be presented March 11-13, 2011, in Williamsburg, VA.
Each volume of the Alma Chronicles (soul chronicles) can be read as a stand-alone book, backward in time the way the inspiration came to the author, or forward in time as a family chronicle unfolds. Print book and eBook available online and at bookstores nationwide. Worth over $825 from Myself, Cher-yl, & Our Spiritually Focused Partners. All over the world people are awakening to a broader sense of our connections with our Planet and how important it is to listen to the messages the Earth is giving us. Our world is speaking to us, it is time to listen. MP3 Download of "Full Moon Crystal Grid Medicine Wheel Journey"
... yet change the way you view the world? of our true connection with our planet.
" This book explores the hidden world which is all around us, the natural world mysteriously unfolding before our eyes..."
It is an important book that is right in time with the opening of humanity's awareness with our true connection with our planet. Would you like to know how the spirit of nature communicates with us? unusual images of energy in your photographs? and to receive validation of your own special experiences? And are shared through experiences in this book. "Cher-yl's talents are reflected in every page of the book from photos, the experiences, deeply connecting with Divine Energy, and most of all receiving beautiful messages." ... "What a book she has created!" A.T.
"Cher-yl has a profound and rare connection with the nature spirits. Her photos are radiant and give a special insight into the beings that share our world. My deepest thanks for a glimpse at what few are able to see." M.F. View inspiring photos of Orbs, Lights and Clouds? Special gifts that will inspire and enrich your life. Cher-yl has been aware of energy within the physical world sense childhood. Born and raised on Long Island, NY she would spend many hours alone with the energy of nature. Her journey has led her to many teachers, both within and out of the physical realm. A deep awareness of energy led her to become a Usui and Karuna Reiki Master/Teacher, Melchizedek Method Facilitator/Practitioner, Gaiadon Heart Master Facilitator, Rising Star Practitioner, StarGate Facilitator, and a Priest in the Order of Melchizedek. More information and inspiration from Cher-yl can be found on her website. "With the hidden world all around us..."
Of the Spirit of Nature! In February of 2009 I was living in Central Texas suffering from what the locals call “Cedar Fever”. I had, like many others, developed an allergy to the pollen of the mountain juniper tree. It had taken 7 years for the allergy to develop and produce the severe symptoms that I was experiencing. I was housebound and wore a surgical mask 24/7 trying to escape the poison of the pollen. I had trouble breathing, eating and sleeping. I was exhausted. My eyes watered so continuously I balled up tissue and tucked it into the corners of my eyeglasses. I was basically non-productive and honestly, afraid my throat would swell shut and cut off my air supply. One night at 2am, after hours of attempting sleep, I gave up and made myself a cup of tea and got my laptop computer. I decided to catch up a bit on the William Buhlman Yahoo Out of Body Experience Group, of which I was a member. When I logged on I found there was a new post by someone who claimed she had an OBE and woke up in someone else's body. This thought utterly fascinated me and as you will see, I think triggered an amazing experience. I had also recently been doing much reading and work studying the concept of time and of parallel lives with my work as a Past Life or Spiritual Regressionist. And, just before having this profound experience I had had a dream where I sat at a round table with my "light council" and they passed me a paper that looked like a spreadsheet. I don't recall what the columns on the spread sheet represented, but I do know that I was shown some “cells” were recently marked with x's. I took this to mean that I was now allowed to know or understand or experience certain aspects of time that were unavailable to me before. So back to my sleepless night. My tea was finished and I was also done reading my email and I looked at the clock. It was 3am. I thought I would try to sleep again, and it occurred to me that I was poised to have an OBE. Sure enough, I closed my eyes and very quickly left my body. It was such a smooth exit, I was barely aware of the usual vibrations. I didn't seem to travel through very much space at all as I rose above my body. The room I was in changed. It got larger, and it became daylight. I found myself in a house I did not recognize, looking at a room and a bed I was not familiar with. I wasn't long looking around noting my surroundings when I found myself being pulled back into my body. I woke up and I sat up in my bed. But it was not “my” bed! It was the bed from the OBE and I was looking around at a house that was not mine! I started to panic. Where the hell was I? And then very quickly and more importantly, the question became…WHO? Who was the person who sat up in this bed? I looked at my arms, and torso, and yes, this was the body I recognized as my own. And even in the strange scared state I was in, I realized I was indeed in my own body, but I was in a body that could breathe! I had no surgical mask on my face. My nose was clear, my eyes did not hurt and my throat and lungs were normal. Heck, I could even see across the room without eyeglasses! I still didn’t know what was happening. I rubbed my arms. I pinched them hard. I was absolutely awake and physical. I was not dreaming! Just then, two children came into the room and began to play on the little day bed next to my own bed. These were my children in my present life. My son and daughter, but, they were little kids, not near adults as they are now! I was just shocked. My daughter’s voice, distinctive and melodic, answered me, "What is it Mama?" Stunned, still, I did not respond to her but instead addressed my son, "Dylan?" and Dylan looked over to me briefly but mumbled something in the voice I recognized as my second born child. They continued to play with their stuffed animals on the daybed . are you?" She answered, "Don't be silly Mama, you know I am six years old." Dylan then piped up, "And I am four". At that point I opened my arms and invited them to come to me for a hug and they rushed over to my bed. I buried my nose into each of their heads, in part, to see if they smelled like my children, and they absolutely did. Every mother knows the smell of her own children. I did all the “am I dreaming?” tests again while holding them to see if I was physical, to see if they in fact were physical. I felt the textures of their hair, I noted the temperature of their skin on their little arms. We all were in real 3D bodies. There was no question about it. I lay back on my pillow with my mind simply reeling. I kept looking at my hands, my arms, pinching myself over and over to assure myself I was physical and in my “own “body. sickness. I was utterly awake and aware. I am not sure how OLD my body was, but it was my body. I didn't see a mirror in the room, but my next thought was to go find one. I also had the thought, "Well, however this turns out, I thought, at least I can breathe in this body!!!" I then wondered if I just entered a life where I would be considered mad? other body in this other reality? Would they commit me? Medicate me? What about my husband? Was he even IN this life? It was just too big of an idea, too much, too outrageous to accept so quickly. I closed my eyes and tried to center myself so that I would not panic, but I was panicking a little, no doubt about it. The amazing thing is that the presence of my children was very much stabilizing and comforting. Their voices were as I remembered, their conversation completely normal and believable even though I knew that they were much older than the small children before me. This was no dream, it was something else, but whatever was happening to me, my beautiful children, who were themselves as far as I could tell, were there with me to soften the shock. my body to wake up. I was so curious to know which body was I going to wake up in? house in Texas. I was back in my sick, allergy suffering body. As I lay there I felt that I could still smell my children's hair (with a nose that worked). I did NOT recognize the house, the clothes or the bedding in the experience and, interestingly, my daughter's hair was shorter than I recall it being when she was 6. In other words, I did not go back into time of my present life, I definitely went somewhere else. I had an OBE, I woke up in a physical body that was mine, in another reality, where my children were more than a decade younger than I knew them to be, then went back to sleep and woke up again, back in my current body. Looking back on this experience I have to say I am most grateful for it. I do believe in parallel lives and simultaneous time, and I believe I was allowed to experience them briefly to expand my mind in this 3D reality. More good news I can report is that in 2010 I barely noticed the Cedar Fever season! I believe a combination of acupuncture, visualization, angelic intervention and quantum touch energy healing helped rid my allergy to mountain juniper. I am fairly certain, this alternate reality experience also contributed to the healing. Like many of you I am on a Journey. My quest for spiritual growth and self-healing has prepared me to help others who find themselves upon a similar path. I have been actively practicing Spiritual Regressions since 2008 focusing primarily on the Dolores Cannon Method. I remain committed to her work and teachings and remain involved with Dolores and more than 250 other practitioners of her method by officially moderating her very active worldwide online practitioner group. I have been a Usui Reiki Master since 2000, and am also a Quantum Touch practitioner. I belong to several Group Dreaming associations and a local Shamanic Vision Journey circle. I am also a writer, and artist and professional photographer. I am a wife and mother of two grown children and I remain a passionate lover of animals and horses and maintain currently a household of dogs, cats, chickens and a herd of three fine horses and one miniature donkey named Elvis. Currently my home base is Austin, Texas, But soon I will be dividing my time between here and Wichita Kansas. Author of Out of the Psychic Closet and the Alma Chronicles, among others. Should you have an interest in purchasing any of my books, they are available as paperbacks and on Kindle and Mobi-pocket. Here's the link to Amazon.com. The new movie Inception poses important questions. Can one person enter the dream of another person? Can a person change the thoughts of another through dreams? If so, is there danger to either person? And, what are the moral implications? Many people would say no to the first question and be done with it, but not shamans, who practice such activities in their line of work. There are probably ethical and unethical shamans, so dreamer beware. Regardless of your position on the answer to the first question, the movie posits some interesting, even compelling ideas about dreams. That we have no control over what's in our subconscious mind. Since it's the sum of all the experiences we've had in our own lives, plus genetic information, plus species-type aspects like archetypes and myths, it's probably true that we can't control all the contents of our subconscious. However we can control some input like not watching scary movies, something I make it a practice to do. I made an exception for this movie because of its important subject matter. That we can have a dream within a dream within a dream. I've experienced this quality. as an example, I dream I am living in a valley. I go to a school then home and to bed where I fall asleep and dream I am living in a forest. I hunt for quail then I lie down, fall asleep, and dream of...flying a kite. You get the idea. That we always come into a dream in the middle, never at the beginning. I'm not sure whether this is true, but it might be. I intend to try to monitor my dreams to find out. That we can consciously control our dreams and those of others. In the movie the dreamers inject a magic elixir into their veins with an IV to help them dream consciously at will. Research on this subject, often called lucidity, indicates people have varying degrees of abilities, some a great deal. It is a potential for human development. It's definitely one of my personal goals to dream more consciously. That we sometimes don't know whether we are awake or dreaming. It's a common occurrence to awaken in surprise at realizing one is dreaming. It's also true that we sometimes exhibit slower brain-wave patterns while we are awake that allow us to daydream in much the same manner that we dream at night. That our minds are more vulnerable when we are dreaming. Seems right to me. Our dreaming minds are also freer to travel, experiment, and play than our waking minds. I enjoyed Inception. Despite the fact that all the main characters were criminals on a heist with no concern at all for the morality of their acts or for the pain they were inflicting on their victim, the film's idea and subject matter trumped the other issues. I loved seeing the human potential of conscious dream control dramatized. I just finished The Things They Carried by Tim O'Brien. It was an odd reading choice for me because I've never been a fan of war stories or of war, for that matter. Still, it would be inappropriate for me to present myself as a pacifist. I believe in peace but I know there's no such thing as a good story or an interesting life without tension and conflict. People go to war because they can't figure out a way to resolve their conflicts otherwise. I believe this is the reason we come into incarnation, to learn that process. Earth is a school. The Things They Carried turned out to be a remarkable book. I read it because I knew the author wrote it as an exploration of memory, writing fiction in first person in a nonfictional voice, using himself as a character, a fascinating undertaking. O'Brien does not disappoint, far from it. I identified with his emotions in war, not as if I had participated in it myself but through my own life experiences. He doesn't call them psychic experiences, but they are. He tells of wrapping dead bodies and strapping them to helicopters. That reminds him of the first time the death of someone traumatized him. Whether fiction or non, he tells of the death of his little girlfriend who died of a brain tumor when they were both nine. Then she came to him in dreams, dreams he learned to intend before falling asleep, where they played, talked, and carried on their friendship. I couldn't help recalling when I was seven because my best friend died in a car wreck. Two months later she leaned over a cloud and talked to me in waking life, an event that helped shape my beliefs about possibilities. During another grueling experience in my life, a divorce, I found my consciousness floating outside my body. I often had the feeling that my spirit might just slip out and leave my body. I feared I would simply abandon it and not return; but because I was so distraught, sometimes I feared I wouldn't and would have to stay. O'Brien, the character, experiences the same angst when in a battle or performing some of the hateful duties of a soldier. His consciousness seems to leave his body. O'Brien, the author, invokes the familiar aspects of the Viet Nam War that we all recognize from news reports, movies, and books as well as the portrayal of post-traumatic stress syndrome, the psychological condition that exemplified the conflict. He invokes in an original way through a personal exploration of memory, what's real and what isn't, but also what could have been. He toys with erasing memories, a cleverly appealing outcome for negative ones. His conclusions apply not only to memories of war but also to all our life experiences. His use of magical realism, a valuable technique I rely on it my own writing, adds verisimilitude to his conclusions. The Things They Carried speaks to us all. I recommend it with gusto. Last Sunday I spent the whole day watching these videos. The site is called Rational Spirituality, and the link is below. The first set features Michael Newton, the hypnotherapist who regresses people to the between life state. He has written a couple of books on the subject Journey of Souls and Journey between Lives. Following are videos of cases by a researcher in Australia who regressed people, then took the subjects to the places they remembered. The subjects recognized places they had never been. Sometimes they spoke foreign languages. Next comes the Indianapolis cop Robert Snow, who researched his past life memory. There are fascinating cases of children who relate details of other lifetimes. Researchers and religious figures, including an imam and the Dalai Lama, discuss the pros and cons of the philosophy of reincarnation. I highly recommend these videos. They are thought-provoking, entertaining, and inspirational. The human mind and heart are truly awesome. Enjoy! Eyvonne Carter-Riley was a dance teacher on the same faculty with me when I taught drama in Phoenix. She recently wrote to me about her experiences of an inner presence: "I love the paranormal too and have had my share of things happen. Sometimes frightening at first- but always turns out a good message, right? One happened while I was living in Wickenburg in March of 2002 after a day of sobbing my eyes out because my daughter said she wanted to live with her father (a year & 1/2 after the divorce). My little ballet studio was falling apart, and I was just feeling lost what to do. I cried so hard I made myself literally sick and went to bed at 7 pm. In the middle of the night I felt something on my shoulder, and it woke me up. Then I heard a voice say clear as a bell, 'Eyvonne you're going to be ok, you've done nothing wrong. Good will happen for you.' The voice was female but no one I recognized. Well..... I lay there frozen with my eyes wide open, scared to pieces and trembling! Then I fell asleep for another 10 hours. About 6 weeks later I decided to move out of Arizona to Nevada for a teaching job- that fell in my face - but at least to a new life that picked up from there." An inner voice that speaks in our mind or a physical touch with no one present—such experiences can provoke many responses—from wonder to comfort to fear for our sanity. How should we react? What should our attitude be? I say look at the outcomes. Eyvonne relates what happened to her on another occasion when she sensed a presence, rather than hearing a voice or a touch on her shoulder: "April of 2003 the day after our wedding is when I get rushed to the hospital (by hubby) at 2 am because I had severe stomach pains and found out it was gall bladder (no warning really- I thought the squeezy tummy was nerves from all the TV cameras at my wedding!) I had emergency gall bladder surgery 14 hours later. The surgeon said I had only hours or it may have been fatal - it was that badly infected. But besides hubby with me I felt someone else there also!" Again in a life-threatening situation, Eyvonne heard a voice that saved her life. She said of that encounter: "Then Jan 2004 2 weeks before my 50th birthday I'm in a car accident! It happened so fast yet everything seemed slow motion. I heard 'relax' (that female voice again) from somewhere! I was driving a company car - a taxi helping out to move the company from the old office to a new office area. (I was dispatching limos at the time.) I also had gotten a taxi license, but it's a pit of a job. I begged to do dispatching. It's 4:30 am (ugh) and at a 4 way stop sign I looked and saw no one but me at the intersection over by the New Orleans Casino. I saw a truck coming from the opposite direction but it was safe for me to go, so I thought. I get T-Boned from a mini-van that was clocked at 95 in a 25-mile zone- a stolen vehicle with Mexican guys that spoke no English. "My car was bent into a U and it had spun 3 times before I came to a stop. The guy in the truck saw the whole thing. I got badly bruised from the air bag, cuts on arms and face from glass, my back wrenched and bruised, and whiplash. I was hanging out the side of the car in the seat! After the truck guy got me unbuckled, I stood up and fainted! Then I came back to consciousness to see the ambulance pull up. I walked to the sidewalk at first not knowing it was all for me! Really crazy. I go back to the car and used the radio system to alert the office. The taxi authority and the limo office people were there within minutes to see the smushed taxi and me standing there and the Mexican guys all pissed because they've been arrested. "I felt my angel was there. This accident made the news and everyone that saw the car said it's a miracle I was standing there. I was sent home for the rest of the day, too shook up to do anything. I was home by 7:30 am and sat in our Jacuzzi for about 4 hours. But my dancing will never be the same after that. So had to put away ever teaching ballet again. But main thing I survived it. And someone was there, my guardian angel for sure." Whether you label them imagination, delusion, or divine intervention, these stories show undeniable facts. They happened when the experiencer was in great emotional need or physical danger. They comforted her and preserved her life. The outcomes have always been positive and good. That tells me that Eyvonne's paranormal experiences are the kind that can be trusted. Not all such experiences are so benevolent and beneficial. If the voice in your head is overly emotional or tries to get you to do something you wouldn't normally do like take drugs or harm another person, there is reason for concern. In such a case, it's best to see a psychological or spiritual counselor, someone you trust to give you a fair hearing. "I visited your blogspot," wrote Hope King of Tempe. "I understand well about psychic experiences. Dreaming about plane crashes and earthquakes prior to their happening nearly ten years ago was terribly frightening and led me to avoid the news at all costs for many years. Other than that horrible summer, I tend to find my psychic experiences comforting. When loved ones pass on I often get a visit within the next two weeks. I worried when my father did not come to me after his passing last May. Finally, I felt him, but his energy was filled with fear. I let him stay with me for maybe ten minutes, then surrounded his presence with white light, and called upon Jesus to take him to heaven. Several months later, I wondered what the outcome of all of that was. I shuddered to recall his fear and wondered if he was in a good place. Within two or three days, I came home one day to see my father - plain as day - sitting on my couch comfortably and with a smile on his face. It was only an instantaneous vision, but I know that he came to give me my answer. He is in a good place." Hope is, in my opinion, a wise young woman who is coming to trust her psychic experiences to help support her life. One of her strengths is acknowledging her intention to receive a visit from a loved one who has passed on. If she believed such events would be impossible, she could have hampered her ability to see her father. Sometimes we think that psychic experiences happen to us. Maybe we imagine they are visited on us by an unkind or even malevolent force. "The devil is behind it" style of thinking. Conversely sometimes people believe positive forces are behind psychic moments, often attributing them to angels or divine intervention. For a long time I believed I had no control over psychic experiences. This is what happened to me: I spoke with the ghost of my dead friend then convinced myself it didn't happen. I had dreams that came true and decided not to continue to have those dreams. A guide or angel or some ineffable presence spoke into my mind, and I thought I was going crazy. Over the years, I've been my own worst enemy when it came to such matters by intentionally suppressing them. It has taken years of study and effort to come to trust these aspects of myself. I believe intention is the most important element. By that I mean a conscious state of will. People can decide to have precognitive dreams or decide not to have any. They can decide to acknowledge their intuition or to ignore it. These experiences are far more under conscious control than many of us realize or admit. If this weren't so, how could people who consult psychics or mediums, including yours truly, ever trust the people we go to see? We pay them money to invoke their own psychic abilities. Why not invest in our own? The websites listed below will help you wrap your mind around your own intention as a major player in psychic awareness. I realize that trusting science and scientists is an imperfect path to truth, but it's an important one, nevertheless. If you just want to play some games instead of doing research, try http://psiarcade.com/. The psi arcade is fun but it's sponsored by a serious research institution, The Institute of Noetic Sciences, http://ions.org/. Perhaps you read about them in Dan Brown's The Lost Symbol. Whatever approach you take, know that it's all in your power. It's all in your intention! Here is an excerpt from a book I highly recommend. I’m a psychiatrist and intuitive in Los Angeles. What I do isn’t my job. It’s my life’s passion. With patients and in workshops, I listen with my intellect and my intuition, a potent inner wisdom that goes beyond the literal. I experience it as a flash of insight, a gut feeling, a hunch, a dream. By blending intuition with orthodox medical knowledge I can offer my patients and workshop participants the best of both worlds. Now, listening to intuition is sacred to me, but learning to trust it has taken years. I’ve described the details in my memoir Second Sight which is meant to assure anyone whoever thought they were weird or crazy for having intuitive experiences, that they are not! This brief synopsis gives you a good sense of the book. I grew up in Beverly Hills the only daughter of two-physician parents with twenty-five physicians in my family. From age nine, I had dreams and intuitions that would come true. I could predict illness, earthquakes, even the suicide of one of my parent’s friends. This confused and alarmed me, as it did my parents who were entrenched in the hard-core rational world of science. At first they tried to write my intuitions off as coincidence. Finally, though, after I dreamed my mother’s mentor would lose a political election--which to my horror, came true--she took me aside and told me, “Never mention another dream or intuition in our house again!” I’ll never forget the look in my dear mother’s exasperated, frightened eyes, nothing I ever wanted to see again. So from that day on, I kept my intuitions to myself. I grew up ashamed of my abilities, sure there was something wrong with me. Luckily, I’ve had many angels in human form who’ve pointed me to my true calling as physician. In the sixties I got heavily involved with drugs in an attempt to block my intuitions out—not something I’m recommending to you! Following a nearly fatal car accident at age sixteen when I tumbled over a treacherous 1500 foot cliff in Malibu Canyon, my parents forced me to see a psychiatrist. This man was the first person who ever “saw” me--not who he wanted me to be, but who I was. He taught me to begin to value the gift of intuition, and referred me to Dr. Thelma Moss, a intuition researcher at the UCLA Neuropsychiatric Institute. She was to become my mentor and guide to developing my intuitive side. While working in Thelma’s lab I had an amazingly specific dream which announced, “You’re going to become an MD, a psychiatrist, to help legitimize intuition in medicine.” When I awoke, I felt like someone was playing a practical joke on me. I’d never liked science, and I was bored around all my parent’s doctor-friends. I was a hippie living in an old converted brick Laundromat with my artist-boyfriend in Venice Beach, working in the May Company’s towel department. (I’ve had a great love of towels and sheets since!) The last thing I envisioned doing was medicine. But because I was beginning to trust my intuition, I enrolled in a junior college just to see how it would go. So one course became two, became fourteen years of medical training--USC medical school and a UCLA psychiatric internship and residency. The irony was, that during my medical training I strayed far from the intuitive world again. Traditional psychiatry equates visions with psychosis. Working in the UCLA emergency room, I’d keep seeing psychotics who were wheeled in screaming, strapped to gurneys, accompanied by cops with Billy clubs. These patients professed to hear God and to be able predict things. They also felt their food was poisoned, and that the FBI was on their tail. No one tried to sort through this mishmash of claims. Typically, patients would shot up with Thorazine, hospitalized on lock-down inpatient units until their “symptoms” subsided. Seeing this so many times I doubted whether it was safe or appropriate to integrate my intuitions in medicine. When I opened my Los Angeles psychiatric practice in 1983, I had every intention of it being traditional; I’d use medications, psychotherapy, but I didn’t intend for intuition to play a role. My practice was extremely successful. Since I was a workaholic and also loved helping people, I had twelve hour days, though very little personal life. But then I had a heart-wrenching wake-up call that changed everything. It was an intuition that a patient, on antidepressants, was going to make a suicide attempt. Because she was doing so well--nothing supported my hunch--I dismissed it. Within a week she overdosed on the antidepressants I’d prescribed and ended up in a coma for nearly a month. (Had she not survived I would’ve been devastated.) The hardest part, though, was that I thought I’d harmed her by not utilizing a vital piece of intuitive information. This was intolerable for me. From then on, I knew, as a responsible physician, I had to integrate my intuitions into my work. After this episode, my journey to bring intuition into my medical practice began. I didn’t know how I’d do it, but I put out a silent prayer to the universe to help me. Soon, I began meeting people, more angels, who showed me the way. Gradually I grew comfortable with my intuition, set out to write “Second Sight.” This took me seven years to complete because I had so much fear about coming out of the closet as an intuitive. I was afraid of what my physician-peers would think, that they’d mock me or blackball me from the profession. My mother warned, “They’ll think you’re weird. It’ll jeopardize your medical career.” Ah Mother: I loved her, but thank god I didn’t listen. Finding my voice as a psychiatrist and intuitive has been my path to freedom. Sure, there’s a risk when you stretch yourself, but the rewards are enormous. Now, I’m blessed to travel around the country giving workshops on intuition to auditoriums full of extraordinary people--health care professionals and general audiences--who long to embrace their inner voice. I’m heartened to see that many physicians are eager to deal with patients in the new way I offer. I gave an intuitive healing workshop at the American Psychiatric Association convention, a annual gathering of the most conservative psychiatrists in the world. I’m pleased to report the response was wonderful. I’m sad to report that my mother didn’t live long enough to see this. In 1993 she died of a lymphoma. But, on her deathbed, she decided to tell me our “family secrets.” She told me, “I want to pass the power onto you.” I was astounded to learn that I came from a lineage of intuitive healers on her side of the family--my Jewish grandmother who did laying on of hands in a shed behind the pharmacy she and Grandpop ran in Philadelphia. East coast aunts and cousins I’d never met since I grew up in California. Also, my mother, herself, had a strong inner voice which told her how to treat patients for over forty years. She’d listened to this voice and secretly used her innate healing powers to keep her lymphoma in remission for many years. “Why didn’t you tell me?” I asked her. She said simply, “I wanted you to lead a normal, happy life, not to be thought of as weird like your grandmother was.” Oh Mother... I’ll always be grateful for what she shared, but, still... she’d waited so long. Even so, I believe in the wisdom of the paths we’ve been given. Mine has been to fight for what I believed in despite what my parents or anyone said. An invaluable but rugged lesson in empowerment. These days, no matter what I’m going through, especially when my heart is torn in a million pieces my intuition has sustained me. I hope that my journey in my book “Second Sight” can help you. One thing I’m certain of: if you follow your intuitive voice, you can’t go wrong. Stay true to it. Intuition is about empowerment, not having to conform to someone else’s notion of who you should be. It’s about being true to yourself, and all the goodness that comes from that. This is a book of believing in yourself and finding the courage to look deeper into yourself to find your own truth. Toby suffered a deep loss as a young child; a good friend was killed in a car accident. When the image of her deceased friend came to Toby to tell her she was alright, Toby’s mother denied such an image was possible. For years Toby struggled with the ability to believe in herself or what she had seen or felt on that day. To believe in such things, let alone talk about them, would bring feelings of doubt and fear from others, especially those very close to her. Even though the journey was a difficult and sometimes lonely one, Toby found the strength within herself to find her truth. To search out what she believed to be true and find peace with that knowledge. This is a book of her struggle to understand her gift and to make peace with it in order to bring knowledge to others. Toby was plagued with death in her family through out her young life and into her adulthood and believed at a young age that death and diing should be something to fear. Through her own research and determination, Toby has found that this is not true. 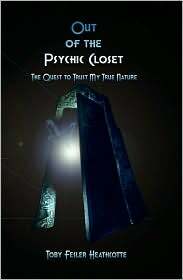 Her book Out Of The Psychic Closet brings a very comforting understanding to a gift that many are either afraid of or unwilling to believe in. Toby follows up her belief with in depth examples and research to sustain the facts she has written about. But this is also a story about a woman’s thirst for knowledge about herself and no matter the emotional or mental cost to Toby, she continued to look for and understand her own inner truth. Once she was able to believe in herself, life, and her gift took on a new direction, one of inner peace. I connected with Toby on so many levels through out her book. I recommend Out Of The Psychic Closet to all who are in search of understand their own gifts and willing to make the first step to say, “I am not afraid.” We all in some form or another have that little voice guiding us, giving us direction; it is up to us to listen. Below are the events I'll be participating in during the next two months. I hope to see you at one or more of them. I'm proud to publish an article about a famous psychic named Jacie Altisi who has passed on. The author. Emily Pritchard Cary, also wrote a novel entitled The Loudon Legacy, available on Amazon. Enjoy! We will be contacted by inhabitants of another space world within five years and these aliens will be represented in the United Nations early in the next century, I assure my audience. They smilingly concur, then plunge into an animated exchange of the impact such an event will have upon the Earth. This is not a scene from a movie, but a session of my class in spiritual enlightenment conducted for the United Nations’ ESP Parapsychology Laboratory in New York City. The students, representing many nationalities, range in occupation from distinguished delegates and interpreters to clerical employees of the UN. We are united in a common bond: the fervent belief that someone else shares our universe. The weekly gathering of this prestigious group during the 1970s and 1980s for the serious study of the paranormal was no more amazing than the chain of events that lured their teacher from a theatrical career to exploration of the spirit world. I was born in Burlington, North Carolina with no greater goal than to dance. This I accomplished early on, becoming a Mike Todd showgirl by my early twenties. In the midst of a successful career, my life took a detour on October 15, 1952 when my brother, Billy Tapp, a U.S. Air Force pilot, was lost over the North Atlantic while en route from the Azores to Westover Air Force Base in Massachusetts. He was returning from a government mission behind the Iron Curtain when he put down his C-97 stratofreighter in the Azores. After refueling, his plane took off and disappeared from the face of the earth. The ensuing sea-air search for the plane and crew was the second largest in U.S. history up to that time, but no trace was ever found of the wreckage; Billy and his crew were presumed to be down and lost at sea. How prophetic that he vanished in the area which later was labeled, “The Bermuda Triangle”! Little did I realize at the time that Billy’s death was the springboard for my plunge into a mystical realm I never could have imagined. Not long after he was lost, I was introduced to a man sought by the Russians during the Cold War for his psychic abilities and the impact they might have on Russian research. He eluded his pursuers and began exercising his talents amid a small circle of devoted mediums in the New York City metropolitan area. Soon after our meeting, the man invited me to meet a spiritualist in the city whom he felt would be able to make an intunement on Billy’s vibrations and the circumstances surrounding his disappearance. I received a reading I would never forget. The medium stated that she saw an electrical explosion take place and the plane plunging into the ocean. She gave a precise description of Billy’s appearance and talked about circumstances of our childhood together that nobody could have known, including two unusual bicycles which we rode together and an airplane model of which he was especially proud. During the reading, the spirit of my grandmother entered the room with comments and uplifting thoughts so characteristic of her in life that I was convinced of the medium’s authenticity. Two years after Billy’s death, I was driving along Riverside Drive to the evening performance of a Broadway show in which I was appearing. My car radio was tuned to a station playing symphonic music. It was about dusk, the time when radio transmissions from great distances begin to interfere with the local bands. Suddenly, Billy’s voice broke through the radio waves. I was so shocked and terrified that I nearly lost control of the car. The quiet assurance of his voice soon calmed me. As I drove and listened at the same time, he began to explain that he had been selected to work through me as liaison between the spirit world and the U.S. military. He spoke of matters I did not understand, emphasizing that he would contact me henceforth under the spiritual name of Master B. By the time I reached the theater, our connection had been severed. Was it a dream? It was hard to concentrate on my performance that evening, but within a few days, I knew that our encounter had happened exactly as I remembered. The next time Billy came in, he identified himself as Master B. He told me that I had been chosen to help in the development of the United States as a leader in aeronautics and space. This seemed incredible. I had no understanding of science. Furthermore, not even Sputnik had been conceived. When it was launched by the Russians on October 4, 1957, everything fell into place and I suddenly realized that I was involved in a brand new frontier. Every psychic has his or her own specialty, and mine is clairaudience. This means that I hear beyond the range of ordinary hearing. In addition, I am clairvoyant and often sense the presence of a higher intelligence. Sometimes I perceive an event happening elsewhere, or one which has not yet come to pass. Since those early days when I began to understand and develop these skills, I have received contact, not only from Billy, but also from hundreds of human intelligences and departed spirits concerned with America’s progress and government. As swiftly as their messages are relayed to me via my clairaudient powers, I tape them if a recorder is available. If not, I make a handwritten copy. The messages I have received over a period of four decades have ranged from the commonplace to some rating Top Secret classification, but one seemed so absurd that I told nobody about it for many months for fear they would question my sanity. So it was with a sense of relief that I read a book brought to my attention by one of my United Nations students. Don Wilson’s “Our Mysterious Spaceship Moon,” based on evidence uncovered by the Soviet and American space programs, cleared the way for me to admit to my contact with Christopher. A man in the Moon! Christopher of the Moon introduced himself to me on May 11, 1962. Describing himself as the Spokesman for the King of the Moon of the Luna Moon Government Headquarters, he spoke of an organization known as the Confederation of Cosmic Planets which was formed for universal help and enlightenment. The members, he said, are desirous of having Earth join their group, but their efforts are being constantly thwarted by other space worlds outside of the Space Confederation who do not want Earth to join. The dissenters attempt to contact people on Earth who are becoming open to cosmic consciousness, but they use devious methods and plant false information in order to spread doubt and increase strife here so that the Earth nations will remain in conflict with one another and devote their energies to baser activities, such as warring among themselves, rather than seeking peace and searching for higher planes. This, he led me to understand, is a well planned psychic attack from space. Negatives from other worlds are every bit as deadly as are bullets here on Earth. As people here learn to meditate and open up their senses, they become receptive to messages from space. Therefore, we must learn to discriminate between good intelligences and bad ones whose true nature is revealed in subtle ways. Over the years, I have been the recipient of countless clairaudient communications, but the most unique are those suggesting life in the great void we know as space. There has been intensive speculation about the form of life existing on other planets and in distant galaxies, with none of the “experts” agreeing on our space brothers’ physical appearance, intellectual level, or social philosophy. This may be because there is as much variety among the residents of other worlds as there are life forms on our own planet. One fact is clear: the ether is brimming with radio waves waiting to be tuned into by Earth dwellers. My first communication from the Moon was a shock. After introducing himself, Christopher expressed his concern for world peace and talked about a “Space Age World Government” to be founded within fifty years. He said that its goal is the advancement of the evolution of beings on other planetary universes with which man shall come into contact through space travel. He warned, however, that man must visit other worlds with altruistic motives, or he shall be asked to leave and will not be allowed to land. As Christopher’s voice faded and ceased, I became skeptical. The concept of a man on the Moon was absurd. NASA’s first mission to the Moon was still far into the future. For three months, I dismissed the contact as an aberration until August 8, 1962, the date of his second voice contact. come, and I follow. There is an opening where we stand. He bows and puts out his hand for me to go first. I proceed down steps and see before me brilliant white effervescent fluorescence. I do not see any bulbs or other apparatus that makes light as we know it. This light seems to come, not from the walls, but through the very atmosphere itself. Now I am walking in this light. It is so bright! “Now we are coming to a clearing. As I walk, I see on each side every now and then an occasional pillar which gives a rather Egyptian feeling. This is correct, because I now see a sphinx. Christopher walks on my left side. He leads me to a very simple type of throne that is constructed of Light. It gives me the feeling of Power, God. There is a torch or flame which seems to come out of the back of the chair. To me, this represents the Purification of the Soul. “Now Christopher guides me toward...oh, it is like a city! It even appears as if there is sky above. I feel that it is a mile or so distant. There are many steps leading upward. They have an iridescence about them. They look soft, like a felt, or velvet. Everything here looks very soft, yet resilient. “Further off to my left, I see many arch-like structures. These lead down avenues which I have a feeling go to temples or cultural endeavors. In the center is a great plaza, like those of the Roman era, where I see a structure of an Eagle. I sense that this is universal and represents God, or Freedom. at peace, in groups or in couples, and a few of them are reading aloud to the other as they walk. There is brotherhood here; there is love for one another. I hear laughter and sense joy everywhere. “Christopher now is leading me away and tells me, ‘Projection.’ We are no longer walking as we come into another area of the Moon. We are floating ¾ or projecting ¾ down a beam of light. Far at the end, I see an opening. As we approach and enter it, he directs me upward, and I see that I am in a bubble-like structure. I sense that this is a place of scientific importance, and although I don’t know what these machines are, I know there is great industry going on. “As I look around, I see forms of life that are very different from those I know on Earth. One is standing at an instrument that is at window-sill level. He turns and acknowledges us. I see a man sitting at an apparatus that resembles a great organ with many keys of different types and sizes, different shades and hues. Despite the complicated appearance of the machine, he sits upon a simple stool. He shows me that it goes down and up; it can be regulated. “Farther along is a central beam that just changed from a golden Light into a blue-white Light. I feel that this is something they could beam outward into the universe, like a beam of some kind of intelligence. On July 16, 1969, the United States landed Apollo 11 on the Moon and an American became the first Earth man to step onto its surface. Two previous missions, Apollo 9 and Apollo 10, had been flown successfully to check out the equipment, surpassing the programs of Apollo 7 and Apollo 8, which circled the Earth and escaped Earth’s gravity respectively. But nothing captured the fancy of the world so much as the walk taken on the Lunar surface by Neil Armstrong ¾ the first to step onto Lunar soil ¾ and Edwin “Buzz” Aldrin while Michael Collins piloted their three-man capsule aloft. The televised event relayed fascinating information to the Earth; still the excitement was somewhat subdued among many who expressed disappointment in the absence of the expected outcome: proof of life on the Moon. If any contact was made by astronauts on this and the next landing, Apollo 12, it remains classified, a deep NASA secret, but Moon intelligences have verified that encounters were made...and some were rejected. Nevertheless, the astronauts could not escape the mystical aura of the Moonscape. As predicted by Christopher in a communication that followed the initial landing, Apollo 13 was denied landing rights on the Moon, although its crew was permitted to return to Earth in the damaged spacecraft. Apollo 14 was a different story. It was commanded by Alan Shepard, one of the two astronauts originally recommended by the Moon government because of his character and God intunement. With him was Edgar Mitchell, equally blessed by higher planes. The true story of their Moon adventure has not been told to the general public, but the fruits are visible in Mitchell’s commitment to psychic research. Apollo 15 was equally successful with its vehicular exploration of the Moon in the Rover. Apollo 16 concentrated on astronomy using the Moon as an observatory, and Apollo 17 included geologist Harrison Schmitt as a crew member to study the geology of the Moon. hint as to the nature of the messages I received. I could only hope that the recipient was able to decipher the often cryptic sentences. The greatest boost to my space work was the assistance of the three astronaut spirits, Gus Grissom, Ed White, and Roger Chaffee, who perished in a pad fire more than a year before the first manned flight. I long suspected that the fire was more than accidental because of a message I received on February 17, 1962 from a space contact warning that some in high positions at Cape Canaveral were working against the United States. That warning seemed to anticipate the accident which snuffed out the three astronauts’ lives. The three spirits mingled with key personnel in the space program, enabling the United States to zoom ahead of the Russians. When they sensed that their advice was being ignored by the researchers and developers, they worked their magic through me. At their insistence, I would promptly send off a letter suggesting certain changes. Inevitably, the proper adjustments would be made. The spirits had contact with the Moon intelligences when they scouted the surface for acceptable landing spots, and they recommended a meeting between Earth men and their Lunar hosts during the first landing. I was confident that this would be the high point of the event, but I became concerned when the anticipated communication with Moon intelligences was not officially verified by either Apollo flights 11 or 12. My worry blossomed into optimism at the announcement of the Apollo 14 crew, Shepard, Mitchell, and Stuart Roosa, men with strong beliefs, men well regarded by the Moon intelligences. During Apollo 14 preparations, there was considerable concern from the higher planes because it was imperative that these three men with God qualities overcome all technical problems. Unbeknown to Shepard, Mitchell, and Roosa, they had been groomed all their lives for this task. Thus, I kept in close contact with them and received replies in advance of the lift-off confirming that they went into space equipped with the warnings, suggestions, and encouragement which the higher spirits saw fit to send. After learning from Master B of Edgar Mitchell’s contacts from Grissom, White, and Chaffee both before and after his Moon exploration, I was not surprised by his decision to found the Noetic Institute in Palo Alto, California soon after leaving NASA. On June 9, 1972 we both were featured speakers at the Jersey Society of Parapsychology (JSP) Seminar held at Drew University in Madison, New Jersey. By that time, I had hoped for answers to questions about the Moon, but NASA was mum. For instance, I wanted to know if the white propelled objects viewed by Apollo 15 were the same white lights I saw during my clairvoyant Moon tour in 1962. Hoping to pry some answers from Mitchell in the flesh, I sent word to him through an intermediary that I wished to meet with him privately after his address. We met, at his suggestion, outside under the trees. It was very dark. I had in my possession a set of documents, a collection of my contacts regarding the space flights, among them those predicting problems on Apollo 13 and success on Apollo 14. Also included was a copy of a letter I wrote to John Glenn at the instruction of Master B, predicting his successful orbiting of the Earth three times and even greater fame in the future. When I explained to Mitchell that I was the one who had communicated with their crew prior to the Apollo 14 mission, he replied ¾ rather cryptically ¾ that Alan Shepard was very much his own man. That was all. His meaning was not clear to me, so I did not pursue it. I then presented him with a large blue folder containing copies of my messages and notes. All the while, I sensed a space ship hovering just above the clouds, but I could see nothing. It occurred to me that Mitchell was enveloped by a higher power, perhaps one which even he did not acknowledge. There was also the possibility that he believed me to be a contact from another world. While I stood near Mitchell on the Drew University campus, I sensed a potent energy about him, one which could only have come from a cosmic source. The same energy was detected upon his return from the Moon’s surface by scientists observing and recording his physical state. With that, he thanked me for the folder, then turned abruptly and returned to the building where the meeting was underway. I believe he felt I knew more than he wanted anyone to know, perhaps that I was a contact he was not ready to accept. That was the extent of our first face-to-face meeting, although we have been together since on various panels, including several at the United Nations. After his flight, Mitchell verified to news reporters that he participated with a psychic in thought transference tests during the flight. He has never told me that he had a contact on the Moon or in outer space, and yet I learned through Christopher, Master B, the astronaut spirits, and several other sources that Mitchell did indeed have a valuable space contact. meditation, visualization, awareness, spiritual perception of the soul, reincarnation, ESP, and tools which the individual can apply to awaken a high awareness of life. One of my most exciting experiences at the United Nations took place after a large Moon rock, retrieved by the Apollo 11 crew, became a permanent fixture at the UN Headquarters. It rests there to this day inside its hermetically-sealed case. Upon its arrival, several of my students urged me to psychometrize the Moon rock, a challenge which I meditated upon overnight before undertaking. When I finally encountered the piece of Moon, I was accompanied by students from many nations, truly a venture in fellowship and brotherhood. In order to make a proper intunement with the rock, I began the session by leading the group in meditation because, in a high meditative awareness, one’s aura is open to receiving impressions which cannot penetrate the mind under ordinary conditions. Our group approached the enclosure and stood a few moments before the structure. The small piece of rock, we observed, was encased in a simple glass case within a larger, multi-faceted one. To assist our experiment, the staff had turned the lights at the front of the building very low so that there was just enough light for viewing, but nothing shone directly on the case. Consequently, there was no glare. My class and I held out our hands to the rock as we slowly walked around the case, viewing it from all sides. Within moments, I noticed a direct psychic ¾ or soul ¾ response from the rock. As the feeling continued to build, a powerful energy of a high ¾ positively exalted! ¾ radiation emanated from the rock, suggesting deep spirituality and an infinite intelligence. Outwardly, the rock seemed to be of volcanic quality, definitely a primordial substance, by far the oldest object I have seen on Earth. As I stood there, I felt myself in mental contact with the soul of the Moon rock itself. In some inscrutable way, it gave off a distinguished aura which suggested origin on a more evolved and intelligent sphere. While I meditated, the aura expanded. As the power inside the smaller container increased, the energy passed through the glass into the second container, then surged forth to our outstretched hands. We all exclaimed audibly as the strong vibrations hit us. It was at once a sobering and a thrilling moment. Something surely is up there! Of this we all were certain. Later that evening, in the quiet of my study, I received a Moon contact. I was told that my reaction was especially strong because the impression was beamed to me from scanners which played the energy directly onto the piece of Moon rock. This was done in order that my students and I might understand the true power and essence of the Moon. In thinking back upon my work with Master B, I am now convinced that I have been overcome by the same powerful force that affected astronaut Mitchell, a force which altered the direction of his life. On April 20, 1977, I was a guest at a private United Nations luncheon in honor of Mitchell, who spoke to the select group about his experiences. Those in attendance represented many different nations, and yet the primary dream of all is to establish One World based on spiritual and humanitarian concepts. Since that day more than two decades ago, many world events have torn away barriers and allowed people to move closer to one another. Although woes and wars continue to thrive in pockets of the world, I sense that the family of man is preparing to embrace the concept of international unity. Can it be that the Man in the Moon has decided that we on Earth are finally ready for the fourth dimension of enlightenment?